Two Bruce anchors and Lewmar 14 self tailing winches! This Colvic Watson Motor Sailer is almost from a by-gone era when examples of the marque could be found in almost any harbour in the UK and well beyond. Sturdly built they have stood the test of time but time moves on and age and health worries creep up on everyone. Hence Blue Lady is reluctantly for sale. 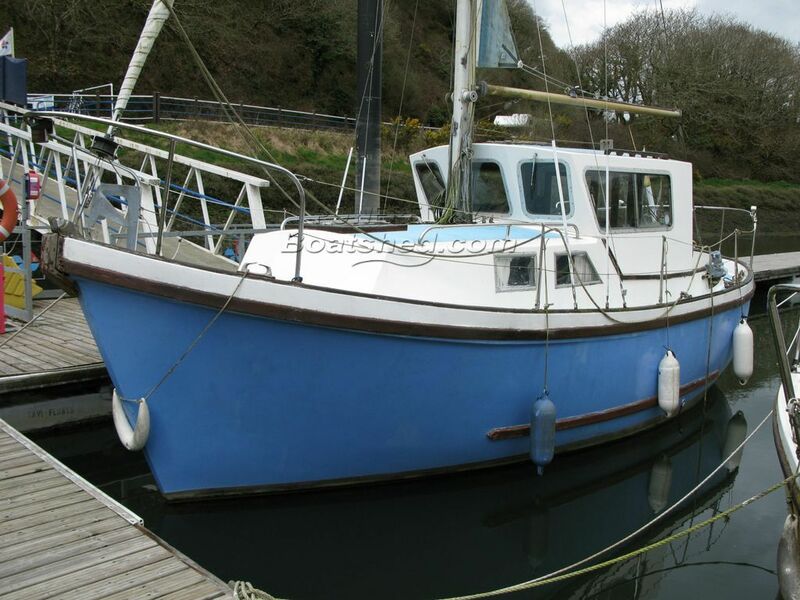 There is much that a new owner might wish to do to bring her a little more up to date but she is afloat in our marina and may cast off her lines as she is, but some TLC would not go amiss hence her keen asking price to sell. This Colvic Watson 26 has been personally photographed and viewed by Alan Coy of Boatshed Wales. Click here for contact details.